Peter Pierce founded Hamptons Salt Company upon discovering the abundance of chemical-laden table salt varieties and wanted to find a safe, delicious alternative to serve to his two children. Hamptons Salt Company is the preeminent provider of all natural sea salt. Hamptons Salt’s merchants scour the world to offer you the best selection of raw salts, flavored salts or smoked salts. All of its salts are unrefined and have no unhealthy additives. Each salt has a unique taste profile based on the sea from where it originated and the natural minerals are not stripped out like refined salt. Hamptons Salt currently offers 29 salt varieties from around the world. You can experience Bali Pyramid or Cypress Flake without leaving your kitchen. For some flavor, try Vermont Maple Syrup, Smoked Chardonnay Oak or the almost too hot Ghost Pepper. 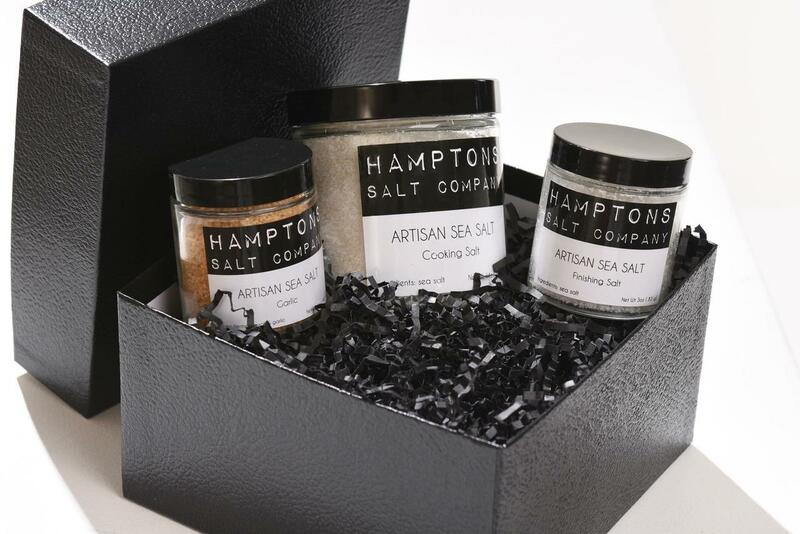 Hamptons Salt Company offers assortments of Hamptons Salt for the perfect hostess gift or foodie. Each collection comes in its own luxury black gift box.